With spring in full bloom and sunshine for days- there’s every reason to smile and shine. Far from my daily understated, casual outfits, I suddenly had the urge to go glam and add a little sparkle. Glistening in the sun, sequins were clearly meant for more than just evening wear. I love the back detail of this top and the subtle cream color that makes it perfect for spring days. 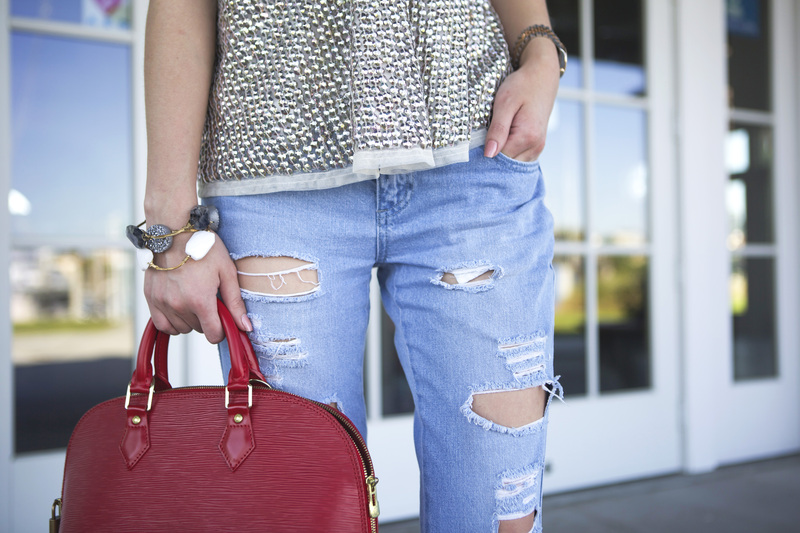 My tip for wearing sequins during the day is to be ironic….pair the sparkles with something unexpected (like my super distressed boyfriend jeans) for a hi-low, boy meets girl look that I love so much. Stick to neutrals or pastel sequins with a matte finish for just the right amount of glam for a day to night go-to. 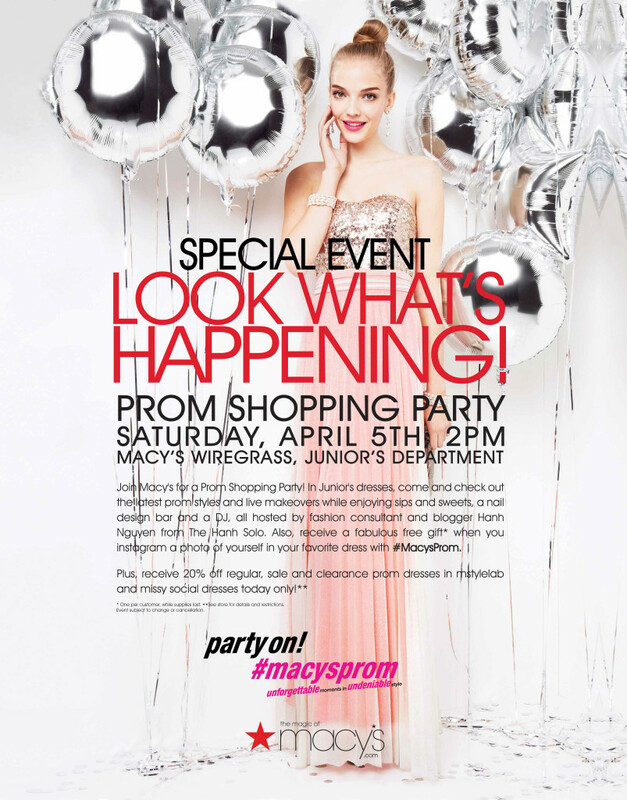 Speaking of sparkles and smiles, I’m so excited to announce I’ve been invited to host and style Macy’s Prom Party event at the WireGrass Mall location, this Saturday- April 5th, from 2-4pm! I can still remember my first prom and all the excitement that comes with shopping for glamorous dresses- not to mention, the pampered hair and make-up sessions. Every girl shines in her own special way and I can’t wait to help you find the perfect dress for an unforgettable evening! how cute is this?! need this tank.